Here is the car a friend of mine Christian Grundmann recently restored. 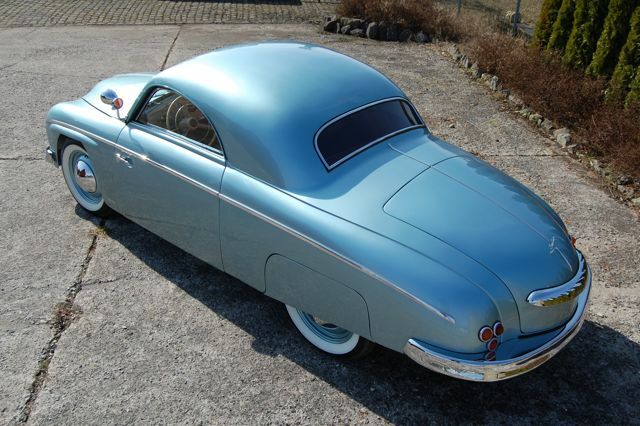 It is a Rometsch Beeskow coupe… from 1951. VW running gear, coachbuilt body designed by Johannes Beeskow in 1949, built by Rometsch Coachbuilders in Berlin. One of about 175 Beeskows built by them. Beautiful alloy body… nice lines!